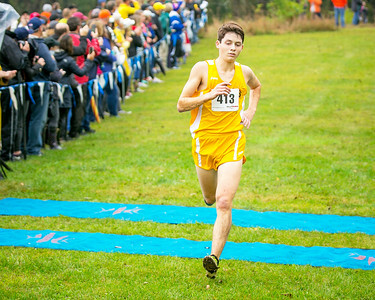 Daryl Quitalig - For Shaw Media Jacobs junior Zach Albrecht crosses the finish line at Hickory Grove Conservation Area for the Fox Valley Conference Cross Country Meet Saturday, Oct. 14, 2017. 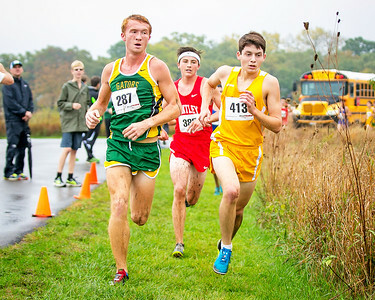 Daryl Quitalig - For Shaw Media Crystal Lake South senior Jack Becker (left) and Jacobs junior Zach Albrecht jockey for the lead approaching the 1.5-mile mark at Hickory Grove Conservation Area for the Fox Valley Conference Cross Country Meet Saturday, Oct. 14, 2017. 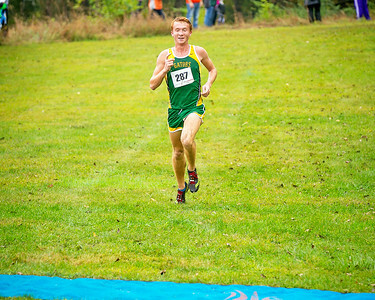 Daryl Quitalig - For Shaw Media Crystal Lake South senior Jack Becker smiles as he approaches the finish line at Hickory Grove Conservation Area for the Fox Valley Conference Cross Country Meet Saturday, Oct. 14, 2017. 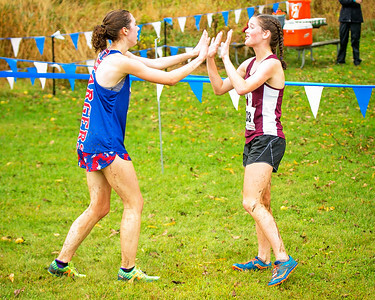 Daryl Quitalig - For Shaw Media Prairie Ridge freshman Chelsea Gale celebrates with Dundee-Crown senior Sylvia Waz after the race at Hickory Grove Conservation Area for the Fox Valley Conference Cross Country Meet Saturday, Oct. 14, 2017. 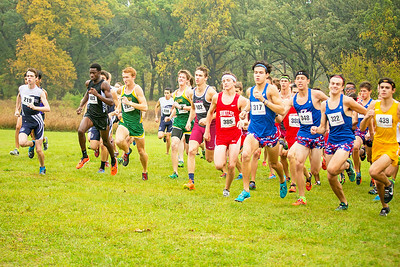 Daryl Quitalig - For Shaw Media Varsity boys take the first turn at Hickory Grove Conservation Area for the Fox Valley Conference Cross Country Meet Saturday, Oct. 14, 2017. 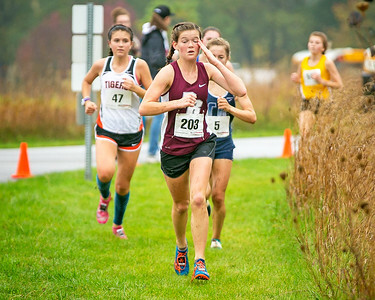 Daryl Quitalig - For Shaw Media Prairie Ridge freshman Chelsea Gale wipes her brow as she approaches the 1.5-mile mark at Hickory Grove Conservation Area for the Fox Valley Conference Cross Country Meet Saturday, Oct. 14, 2017. 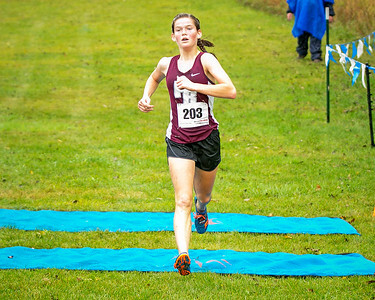 Daryl Quitalig - For Shaw Media Prairie Ridge freshman Chelsea Gale crosses the finish line first at Hickory Grove Conservation Area for the Fox Valley Conference Cross Country Meet Saturday, Oct. 14, 2017. 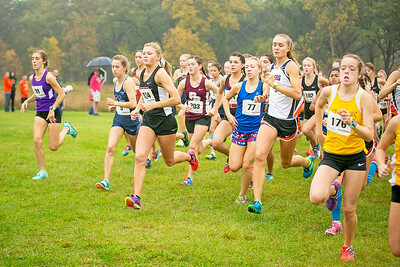 Daryl Quitalig - For Shaw Media Varsity girls take the first turn at Hickory Grove Conservation Area for the Fox Valley Conference Cross Country Meet Saturday, Oct. 14, 2017. 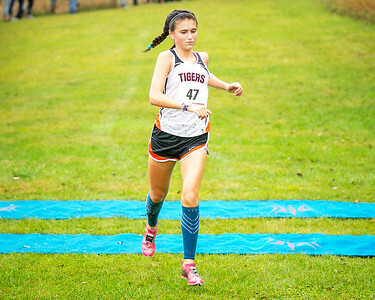 Daryl Quitalig - For Shaw Media Crystal Lake Central senior Katelyn Smith crosses the finish line second at Hickory Grove Conservation Area for the Fox Valley Conference Cross Country Meet Saturday, Oct. 14, 2017.